Photo of The Balsams Resort, which has been closed since 2011. 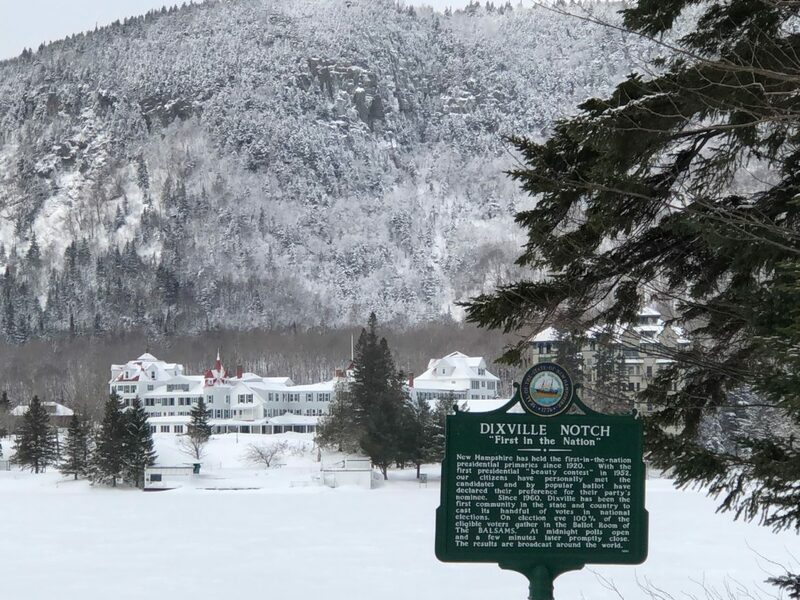 CONCORD – A bill that could help advance the $173 million redevelopment of The Balsams resort in Dixville Notch passed the House of Representatives overwhelmingly on Wednesday, 287-60. 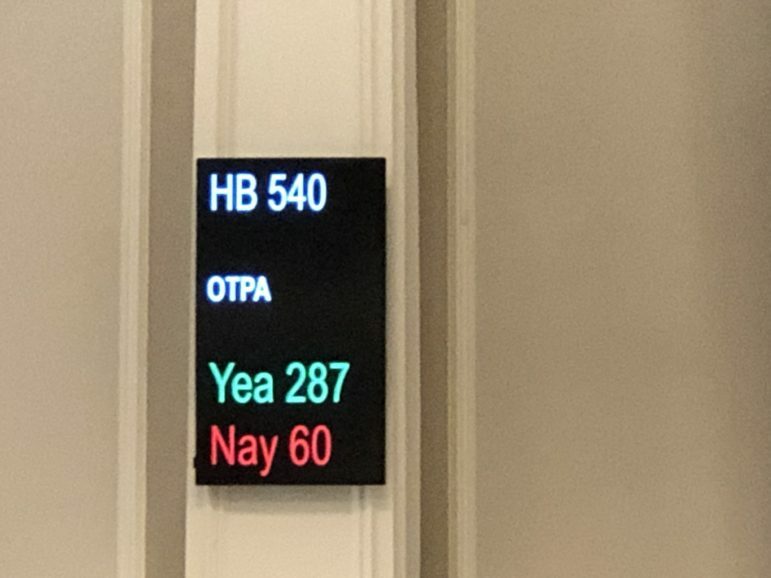 Also Wednesday, a bill that would have limited coyote hunting in New Hampshire during the spring and summer months was killed on a vote of 233-126. The Balsams bill, House Bill 540-L as amended, would create a financing tool to get the massive construction project going, said Rep. Marjorie Porter, D-Hillsborough, who chaired a subcommittee on the bill. Porter told the House that all cities and towns in the state have the right to create tax increment finance districts, but unincorporated places like Dixville do not. This would level the playing field, Porter said, and this would give Coos County “another tool” to use toward the completion of The Balsams redevelopment project. “This bill protects the county,” Porter said, adding the county would not be placed in a position of having to repay the bond if there is a default. The House Municipal and County Government subcommittee voted 18-0 in favor of the measure. Although she did not speak on the floor Wednesday, Rep. Edith Tucker, D-Randolph, sponsor, has stressed that Coos County would not be on the hook to guarantee or repay the bond if the project failed, but the county could benefit from the much-needed jobs the project could create. She said it is largely supported by North Country leaders who are hopeful for the 400 jobs and increased tourism that would result. The bill would allow unincorporated places like Dixville, where the resort is located, to create redevelopment districts and to issue bonds. Leslie B. Otten, an experienced ski resort developer, is leading the effort to redevelop The Balsams. He said he would like to see the county create a redevelopment district so he can get investors to fund a $28 million bond without a municipal guarantee. A previous effort to get such a bond with state backing failed to materialize because the state’s Business Finance Authority could not come to terms with the bank on aspects of the state guarantee. Otten said he believes there are markets for such a bond but said he cannot pursue them without this legislation. Coos County commissioners hired an independent bond counsel who gave them assurances that the county would not be held liable for repayment of a bond because they are not issuing a general obligation bond. The historic, century-old hotel closed in 2011. The first phase of redevelopment would include revitalization of the elegant hotel and create a massive expansion of its Wilderness ski area, making it the largest ski resort in New England. The project would mean 600 construction jobs. A bill that would have limited coyote hunting in New Hampshire during the spring and summer months was killed on a vote of 233-126. There is currently no closed season for coyote, and this will remain the case. Members of the House Fish and Game and Marine Resources Committee voted 14-6 to kill the bill, arguing that there was no need for a closed season for coyote. But supporters of the bill noted that all other furbearers have limited hunting seasons to allow mothers to raise and properly train their pups and that state biologists have recommended the move.